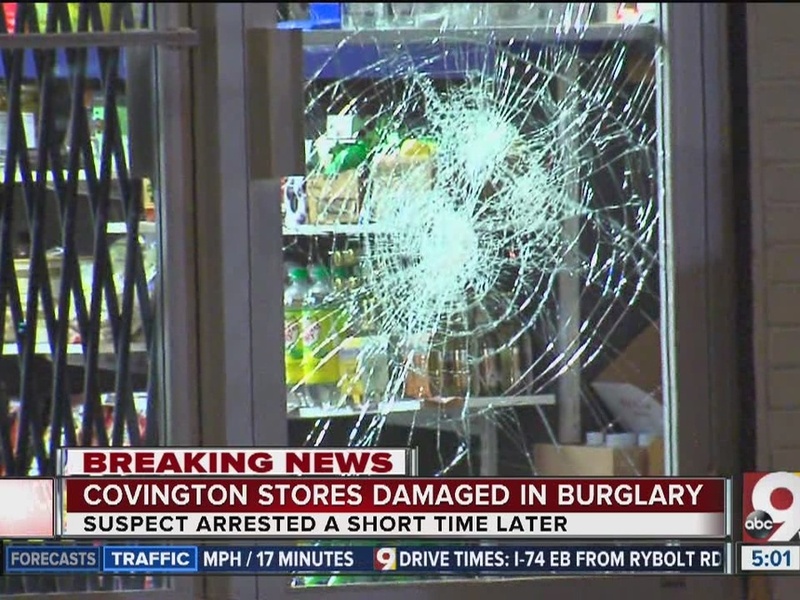 COVINGTON, Ky. -- A man is charged with third degree burglary in connection to two early morning break-ins in Covington. D.E.P. Fine Wine & Spirits on 3rd Street was burglarized at around 1:30 a.m. Friday, police said, but only a few bottles of wine were taken. The front window of the store was smashed. The Save-on-Cigs shop next door was also broken into. Nothing was taken from Save-on-Cigs, police said, but the front window was smashed. Police recognized 39-year-old Russell Evans in surveillance footage from the two shops, according to Covington police public information officer Brian Steffen. Evans was located at around 9:30 a.m. Friday, arrested and charged with third degree burglary.